Before I get on to this weeks match I had some lovely feedback from the blogs Facebook page and also via the contact form, thank you so much, it really does make my day when I know people enjoy my ramblings. 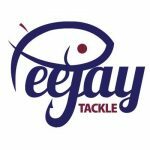 ‘Happy New Year Jamie and to the club, sorry to hear of the poor start 2017 but plenty fishing days to follow, good ones. 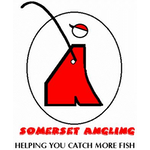 Many thanks for all your blogs, love to start the week with them and help relive my fishing days. 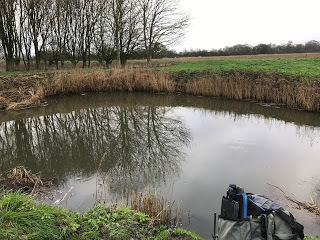 Onto this weeks match and we finally had some rain on Friday which was much needed although at one stage I started to think the river might be flooded out and we’d end up on the pond. No more of the wet stuff on Saturday and much milder temperatures all pointed to the river fishing well today. I got to the Royal Oak and had my usual sausage sarnie while talking to Baz, Steve P and Fieldy. A quick look at the section boards and I was relieved to see Redbridge wasn’t in today after my disaster last week although to be honest it probably would have fished really well. We were talking about which pegs we fancied drawing and Baz said in all the years he’d fished the river he’d never fished 128. The draw was announced and as per usual by the time I got near the bucket there were only two balls left, Rob grabbed them both and invited me to chose one of his hands, Baz asked if he could chose for me and went for Robs right hand which turned out to be peg 128!, so he finally drew it, but not for himself! Rob opened his other hand to reveal H4 so for the second week running I’d been in with a 50:50 chance of drawing it and had managed to avoid it both times. Baz was on 125 which was also the golden peg and with some colour on it, there was a good chance he could be in for yet another bumper payday. We got to the river and it looked really good, a nice pace and a tinge of colour for the first time in ages, young Stuart was in 126 and Steve P was down on 129 although he had the choice of 129a as well. These pegs haven’t been fishing that well but with conditions nigh on perfect, I felt we’d get a few today. I got to my swim and it looked amazing and even better, while I was setting up there were fish topping all over the peg! One thing I did notice when I went to put my keepnet in was that there was a small hole in the bottom which looked suspiciously like the work of a mouse! Further investigation revealed those pesky mice had been at my Daiwa landing net too, I’d bought one of those plastic Daiwa net carriers with a zip top especially so those mice couldn’t get at my nets but in the last match at Dillington, the flimsy zip broke so now I can’t do it up. Why don’t they use robust, sturdy zips?, it’s annoying that gear that in every other respect I’m happy with, is let down by such a small thing, it’s like that clip on the strap of my seat box. I’m sure there are lots of other examples too, this gear isn’t cheap for us to buy so why do they use cheap components, surely they thoroughly test it all before releasing it to market! Anyway rant over, I set up a Drennan 1 gram Tipo with 0.10mm bottom and a Kamasan size 18 B611 and on the side tray I had maggots, casters and Bait-Tech Super Seed Hemp. 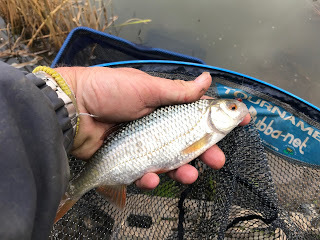 The start time arrived and I began by fishing three sections to hand, on the third put in, the float buried and I had a small roach to open my account, next chuck I hooked a better one that pulled out a fair bit of my new orange Maver elastic before I netted a nice roach of 6oz or so. After the first half an hour I had ten roach (plus a few minnows) for around 2lb or so and there were obviously a lot of fish there. 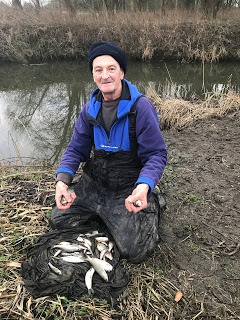 The next thirty minutes was even better and I added another 12 fish including some clonking roach and with an hour gone I had 4-5lb and I was starting to think a really big weight was on the cards. I’d bumped a few fish so put a new hooklength on. The second hour was similar although I was getting the odd tiny dace along with a few gudgeon, I got to 47 fish (not counting minnows) after two hours but at the start of hour three, bites started to slow up so I went out to 10 metres just off the main flow but had to wait ages for a bite and the first two fish were gudgeon which wasn’t ideal. I had a couple of roach but it was quite slow going so came back to 8.5 metres and started to get some nice roach again along with the odd better dace and some chublets, I was still feeding hemp, casters and maggots to my left on the inside where the flow comes back round and hopefully I’d be able to catch to hand again later. 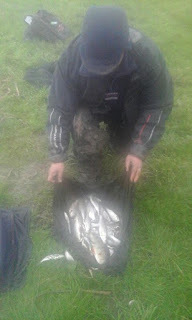 I was still catching well, but in spells, and the chance of doing a really big weight was slipping away. I also lost/bumped two or three good roach which didn’t help. With an hour and a half left I came back on the shorter line, fishing to hand and started catching really well again, lots of small fish around 1-2oz along with some clonking roach including a couple pushing a pound, I did lose a few more and dropped off a 4oz fish but as the light started to fade, they were topping all over the place again and I dread to think how many fish were in that swim today. I ended up with 135 fish (mainly roach along with some dace, chublets and gudgeon) plus a fair few minnows which I didn’t count. I didn’t know what weight I had, at 2oz apiece I’d have around 16lb but I thought it was probably a bit more but would it be enough? I packed up and took some of my kit back to the car and collected the scales before me and young Stuart walked down to weigh Steve in. 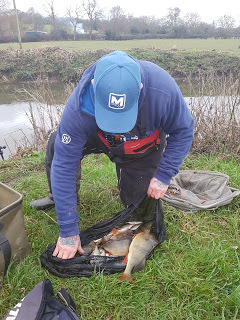 He’d had some nice roach and loads of bits and bobs to weigh 4lb 14oz, then it was my turn and the scales went round twice so I took a few roach out and the first weigh went 17lb 8oz and the remainder went 2lb 13oz to give me a total of 20lb 5oz. 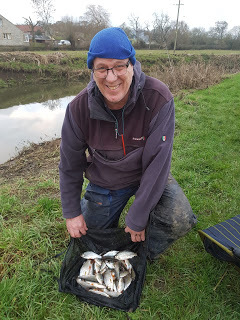 A cracking days fishing although I was slightly disappointed I didn’t threaten my biggest Isle match weight and there was also a chance Baz on 125 or some of the pegs at Hambridge could still beat me. 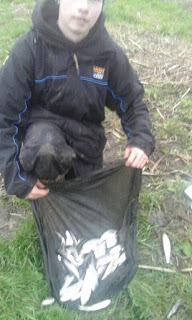 The last person I had to weigh was young Stuart on 126 and he had lots of bits for 1lb 11oz. As we loaded the cars, Baz and Karl arrived from above the bridge and had weighed 5lb 11oz and 5lb 2oz respectively so now I just needed to see how Hambridge had fished. 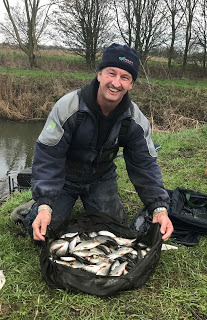 Back at the results and the first person I saw was Adie who had been on H5 above the road at Hambridge and said he had the best weight there with 10lb 9oz which included some lovely perch, so I’d done it and won my first match for a while. Graham was second with 9lb 4oz from H2 followed by Rob with 8lb and Rich with 1lb 10oz. Thanks to Rob Cox* and Karl Aplin** for the photos (although judging by the photos Karl and Baz took, David Bailey has nothing to worry about!!). 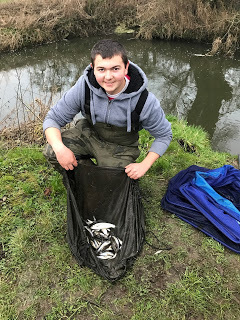 So a cracking days fishing for my first win of the year, I picked up £45 plus a nugget off Steve although to be honest I thought it was going to fish better than it did as the river was in perfect condition. Hi Jamie another great read and a cracking win to put the cherry on top, what a great little river it is!!! 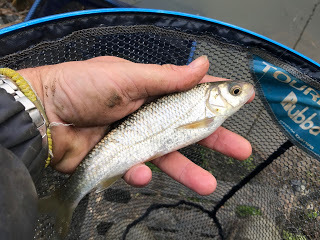 have you ever fished the floating platform at the back of Morrisons to the far bank, about 18 inch deep in summer on the waggler, spray maggot and chub come to you and every one a netter.